Shallow Hal, eat your heart out. With the outrage Jeffries’ comments have spawned, you’d think he had called for the public flogging of every first-born child. And in a sense he had, given that more than two-thirds of American consumers are considered “plus-sized shoppers.” Not to mention the millions of us who qualify for the uncool category. As a human, I find his comments reprehensible. But from the perspective of a marketer, I'm intrigued. Unlike so many CEOs, this one has no trouble pinpointing his target customer. I think what outrages me most is that he that he goes so far as to imply that any obese or nerdy person who steps foot in an A&F store jeopardizes the 'cool factor' so vital to the brand (somewhat akin to diminishing the property values). He certainly wouldn’t be the first retail leader to hold that belief, but he may be the first one to express it so bluntly and cavalierly. His point-of-view is particularly shocking in light of other consumer brands, including Dove, H&M and UK fashion retailer Debenhams, publicly embracing marketplace diversity in unprecedented ways. What Jeffries seems to disregard – or not care about – is that purchasing decisions for many of the trimmest and coolest cats are made by a couple of portly dweebs known as Mom and Dad. And some of them are bound to tighten their purse strings in the face of the company’s latest controversy. He also seems to thumb his nose at the possibility that his comments might contribute to the alarming problems of teen suicides, eating disorders, bullying and depression. And while it’s true that a CEO isn’t directly accountable for addressing social issues, we increasingly expect them to do so – or at least to act responsibly. So is this guy a pompous blowhard or a shrewd marketer? I'd argue he's probably both. 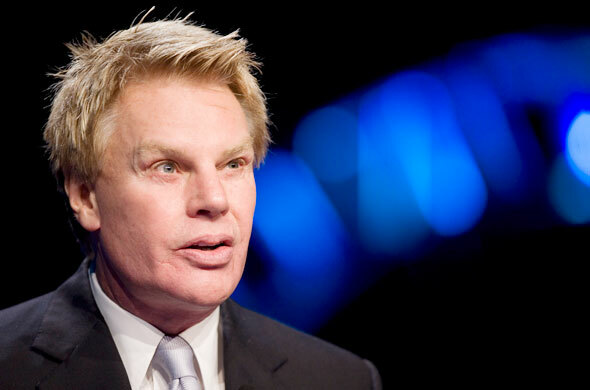 Ultimately, the impact of Jeffries’ jaw-jacking will be evaluated on the basis of future store sales and the overall performance of Abercrombie & Fitch Co. (NYSE: ANF). One thing’s sure: this guy's not afraid to ruffle some feathers. In fact, he seems to thrive on it. A&F's near-legendary Corporate Jet Rulebook.